Hundreds of people will enjoy a Christmas meal at The Mission at Kern County on Monday. 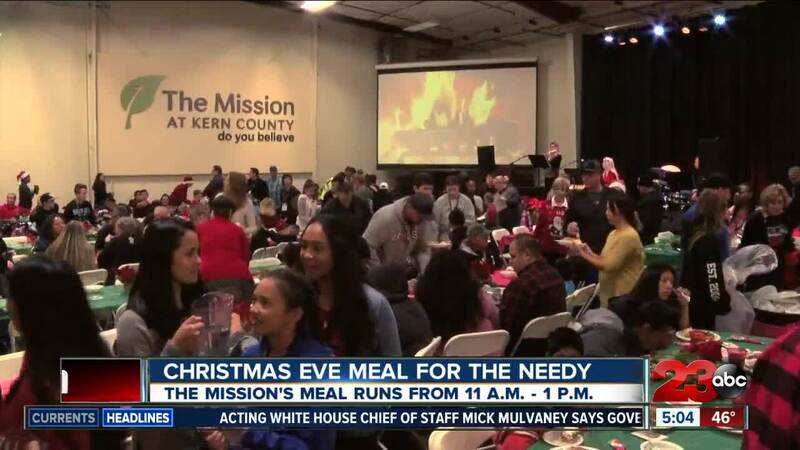 BAKERSFIELD, Calif. — The Mission at Kern County is hosting its annual community Christmas meal on Monday. The event is scheduled to run from 11 a.m. to 1 p.m. at 821 E. 21st St. in East Bakersfield. Organizers said they expect to serve even more men, women and children a traditional Christmas meal than ever. Each person who attends will also receive a special gift, which is subject to availability. The Mission will serve more than 15,000 meals during the entire month of December. The holiday meals are made possible because of monetary donations, community food drives, “adopt-a-meal programs” and fundraisers, according to The Mission.